This months letter is short, sweet, and important! Moisture intrusion and high moisture levels are the main drivers of mold growth in the interior of the home. The last thing we want is mold growing visibly, or worse yet, hidden from view in our home. How can we prevent mold growth inside our home? Keeping moisture under control. How do we accomplish that? To control moisture levels in the home, we first need to look outside the home. Are our gutters clogged? Clogged gutters are worse than having no gutters at all, and a heavy contributor to moisture accumulation around the foundation walls. How is the grading around the home? 90% of homes I inspect have grading issues of one type or another. Correcting negative grading can go a long way to reducing moisture accumulation around the foundation and subsequent moisture intrusion into the home. There are other more extreme measures that can be taken to usher water away from our home, but that’s another subject for another time. Now that we have looked at the outside of the home, lets go to the basement shall we. 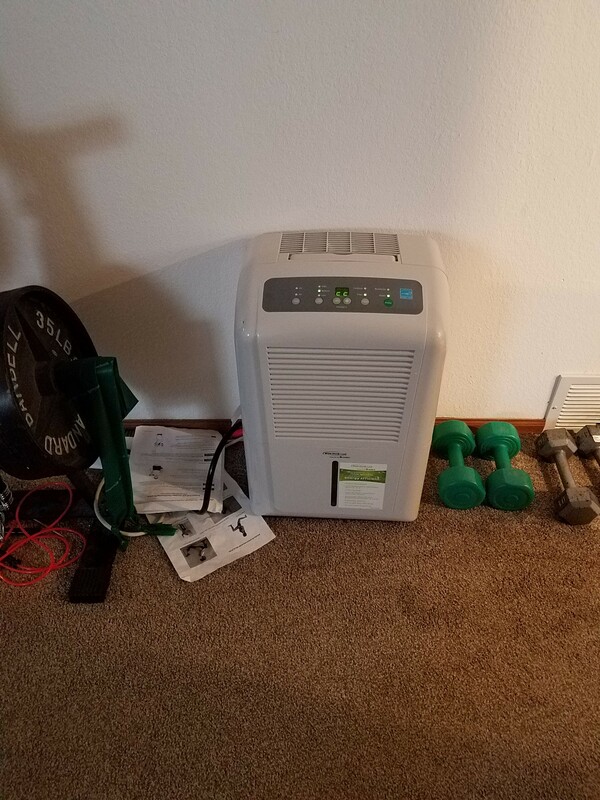 Do you have a dehumidifier? If so, what is the digital humidistat set to? It should be 55% to no more than 60%. This will have the unit drawing down the moisture levels in the basement below the typical mold growth threshold of ~60%. Keeping moisture levels under control will greatly lessen the potential for mold growth. Has your dehumidifier been recalled? Better check our Facebook page for the recalled units and make sure you’re not on it. Done with that? Good. Now that you know your dehumidifier is not recalled and set properly, have you cleaned the filter lately? The unit cannot do it’s job if the filter is dirty. It’s typically located above the bucket and should be checked at least semi-annually. Now that you have checked these few things, you should have far less moisture on the interior of the home. Remember, mold likes to grow at humidity levels of ~60% and above so keep those moisture levels under control.